The number of things that you can make with your own two hands is scary. The possibilities are endless. These possibilities sometimes frustrate me because I can’t make everything I want to make. Time unfortunately just limits much of what you can do. I therefore recently decided to write down in my calendar what I want to make that week. It helps me canalise my creative urges and at the end of the week I’m just satisfied when I finish a project. It also makes me forget all the things I didn’t make, since I didn’t plan them in my schedule. Making a freeform twig basket has been high on my priority list for months. It was one of my most favourite creative activities when I was in primary school. It has also been haunting my thoughts recently (which is a waste of time). I collected a bunch of examples of things you could do with twigs from the garden. And this week I planned to make one with the fresh twigs that were growing in our garden. Today I’m sharing the results of my first weave with things from the garden with you. It’s really a very freeform weave. I didn’t follow (m)any rules. It’s far from perfect. But it’s so nice, pretty and cute. I love it. It’s like a little nest that you can carry around. 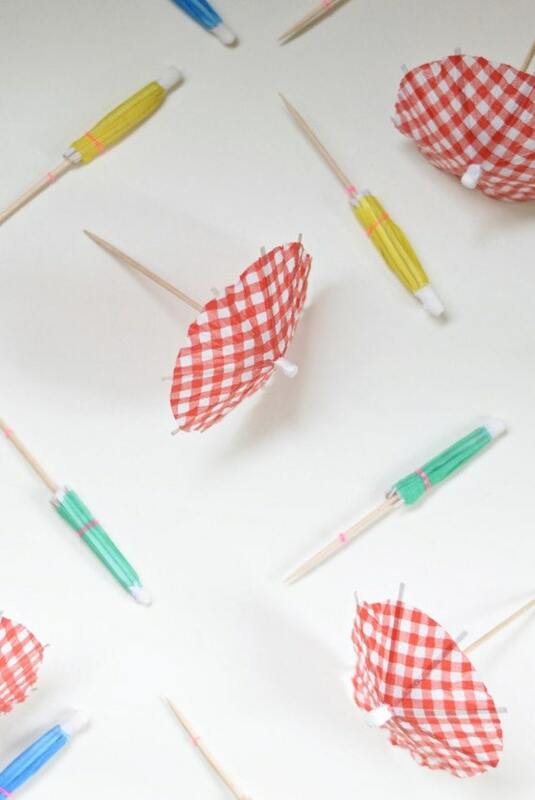 It only took me a bit over an hour to make, so it’s really an easy DIY which will both get you outside and keep you creatively entertained for a short while. Choose a few big (thick and long) twigs from your batch of twigs. You will use these as the base. You can use 2×3 twigs for the base. You will also need 2 even longer ones for the (optional) handle. Make a little cut in the middle of the twigs that you will use as a base. Now you place the 3 other base twigs in the hole. In this way you make a cross with twigs. This is the base of the basket. You can now start weaving with the smaller twigs. Just simply go around in circles. Going up one twig and down the other. I assume you know the very basics of weaving? You go round in a circle, below and above and below and above the twigs that follow. You use some force to keep it together, so that the finished product doesn’t fall apart. After I finished a round or two I added the handle. I didn’t add it immediately because the base wasn’t really secure. After two rounds the base became more stable and it was easier to add the handles. The handle is basically a twig placed in a loop on top of the base. The ends of the twig are the bottom parts. They are placed in the weave in a way that they are stuck. They shouldn’t be able move. You can see this in the picture below. Here I started weaving the bottom again. At one point you can start moving up and make some depth in the basket. I did that by bundling the top parts of the twigs with a little piece of bakers twine. This way the twigs formed a little pod by themselves. Now I kept on weaving with new twigs until the base twigs had about 12cm left on top. With this leftover parts you need to finish the basket weave. What you do, is basically move in the direction you were weaving with one of the twigs and then weave one twig to the left/right on the outside and then one in the same direction on the inside. Then you move on in the same direction to the next twig and do the same until you are ready with the last one. As last I used my hands to knead the basket into shape, wherever needed. I also cut away some of the pieces that were sticking out too much both on the inside and the outside of the basket. Now you are ready! Or better said: I was ready. You only need to find a purpose for your freeform basket. I was first thinking of keeping the bay leaves in it so that they could air dry. Unfortunately the basket was too small for that purpose. I did miss a little basket for the eggs in our kitchen. So now the basket has a perfect purpose. It’s like it’s made like a little nest for eggs.